Choosing art for the home is, well, an art. As an interior stylist, here are some tried and true methods to satisfy a range of tastes, all under the same roof. Step one: stand back and gauge your surroundings. A large space with high ceilings is best suited to two options: one huge artwork, or a collection of smaller ones. If opting for a gallery wall, choose pieces with something in common: matching frames, or an accent color. Next, consider what will share the space. When mounting a canvas over a fireplace, pick something that echoes the scale of the firebox. If the art will hang over a piece of furniture like a sofa, your canvas should be about 75 per cent of the width of the furnishing. This brings balance to space. Your art's subject matter is where people can get in trouble. 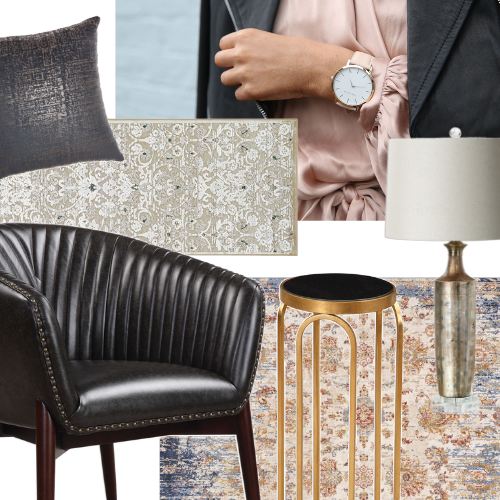 In common areas, opt for neutral pieces. This means nudes; no religious or politically themed pieces; no family photos. As a designer, I use color to make an impact in my designed spaces. Color repetition is a powerful way to create a cohesive look. Choose a piece that you love, and let its colors inspire your paint, upholstery, pillows, rugs, and other decor elements. This sends a message that the artwork belongs to the room. Last but not least, practice restraint. Don’t fill every wall. Negative space gives the eye a place to rest, is calming, and makes the art more impactful. Art has a way of increasing anticipation, inspiring interest, and bringing you back for more. Choose carefully and follow these tips, and your art with be a cherished part of your home, everyday. Red Barrinuevo, principal of Redesign4More, is an award-winning property stylist and interior decorator servicing clients in Toronto and the GTA. Barrinuevo's firm is known for creating and enhancing stylish yet functional spaces through creative home staging and interior styling services. Learn more at www.redesign4more.com.